Located in west-central Alberta, the Pembina is Canada’s oldest onshore conventional oilfield. Since its discovery in the 1950s, it has produced 1.3 billion bbl of light gravity crude and 12 Tcf of natural gas—only 17% of the estimated gas-in-place. The main producing interval in the Pembina field is the Cardium formation, a sandstone deposit encased in thick shale. Characteristics of the tight oil reservoir vary within the formation. Average thickness is approximately 6.5 m with porosity and permeability measurements of 11% and 2 mD, respectively. 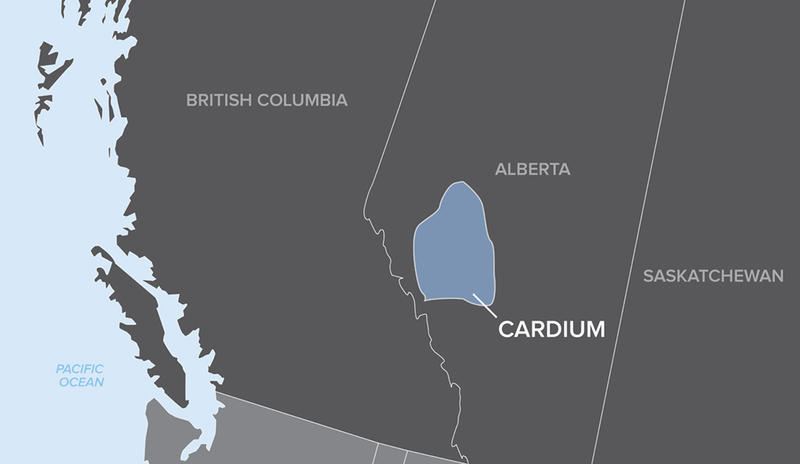 Horizontal drilling and multi-stage fracturing have helped unlock resources in the Cardium. However, due to reservoir maturity, production rates in existing wells have begun to decline. Operators working in the Cardium rely on advances in completion technology to refracture their wells and increase production rates. An operator working in the Cardium formation acquired a well that had been completed with an 11-stage Packers Plus StackFRAC® system. Over time, low bottom hole pressure in the well, due to reservoir depletion, significantly impacted production and thus the economic viability of the well. The operator required an economically and operationally efficient method to refracture the well and increase production rates. The Packers Plus Slimhole system was developed with the same operational efficiency as the field-proven StackFRAC system, but it was specifically designed for applications that require a smaller liner outside diameter, such as re-entry into existing wells. A 73 mm (2 7/8-in.) Slimhole liner has an 8-stage capability with 1/8-in. ball seat increments and a 16-stage capability with 1/16-in. ball seat increments. An 88.9 mm (3 1/2-in.) Slimhole liner has a 16-stage capability with 1/8-in. ball seat increments and a 32-stage capability with 1/16-in. ball seat increments. For this well, the operator used an 11-stage Packers Plus StackFRAC Slimhole system to re-enter the existing 11-stage, 114.3 mm (4 1/2-in.) open hole system (Figure 1). The 11-stage Slimhole system was designed with 88.9 mm (3 1/2-in.) liner and used 88.9 mm (3 1/2-in.) flush-joint tubulars to reduce friction. The RockSEAL® ll packers were equipped with elements engineered to provide effective isolation inside a liner. Prior to re-entry, the existing open hole system was milled out. During installation of the Slimhole system, the FracPORT™ sleeves were precisely aligned to straddle the existing FracPORT sleeves for successful refracturing (Figure 1). An average surface pumping rate of 6 m³/min was maintained during stimulation of the first five stages in the well. During treatment of the last six stages, the average pump rate increased to 10 m³/min. An average of 19 tonnes of proppant and 163 m³ of slickwater were used per stage to refracture the well for a total of 209 tonnes of proppant and 1,800 m³ of slickwater. After treatment, the well was successfully flowed back and production was brought on line. Figure 2 shows the 3-month pre-frac and post-frac oil and gas production rates. Recompletion with the StackFRAC Slimhole system resulted in a 2.4 fold increase in oil production rate and a 1.57 fold increase in gas production rate. The StackFRAC Slimhole system has multiple applications for operators working in formations which require recompletion and well recovery solutions. These include stimulation of open hole laterals drilled off of existing vertical wells to exploit new or existing producing zones and increase productivity, re-stimulation of existing vertical or horizontal cemented liner or open hole wells to improve recovery from damaged or depleted zones, and recompletion of cemented liner completed wells where a loss of casing integrity has hindered stimulation.